This first-of-its-kind book brings together the major deities of the Hindu pantheon, describing the different manifestations by which they are recognized, celebrated and worshipped – from Durga to Sita to Kali, and from Narasimha to Parashurama to Krishna. The contributions by Bulbul Sharma, Namita Gokhale, Nanditha Krishna, Parvez Dewan, Royina Grewal and Seema Mohanty offer enchanting stories about our favourite divinities. Adi Shankara was one of the greatest philosophers of India. Probably born in the eighth century CE in modern Kerala, he established the doctrine of Advaita Vedanta and unified the six main schools of Hinduism. He travelled across the Indian subcontinent ¬- from Kanyakumari in the south to Kashmir in the north and Dwarka in the west to Puri in the east-propagating his philosophy through debates and discourses, establishing monasteries and monastic orders. He participated in philosophical debates with orthodox schools of Hinduism and heterodox traditions. He established several mathas or monasteries, inspired by the ancient ashramas (hermitages), all over the country, which have ensured the continuity of his teachings. By the time he died at the age of thirty-two, he had produced a cornucopia of commentaries on ancient Indian texts as well as original philosophical works which contain some of the greatest gems of human thought on the concept of oneness with the Supreme Being, caste and equality, meditation, knowledge, self-realization, moksha, pride, attachment, maya and much more. Edited by Nanditha Krishna, the aphorisms in ‘You Are the Supreme Light’ are culled from his greatest teachings and provide lessons on how to lead a fulfilling life. They are as relevant today as they were when Shankara first expounded his philosophy centuries ago. In Hinduism and Nature, historian and environmentalist Nanditha Krishna delves into India’s rich natural landscape, which is suffused with mythical stories and religious significance. The reverential tales she narrates from both the classical and the tribal traditions reveal a mesmerizing world of forests and trees, rivers and lakes, animals and mountains. The basis of Hinduism is dharma, or righteousness, incorporating duty, cosmic law and justice. The Vedas, the Upanishads, the smritis and the great epics showed a clear appreciation of the natural world, its ecology and the need for managing natural resources. In this fascinating book, Nanditha Krishna provides deep insights into the protection Hinduism offered to the environment, and convincingly argues that we can save the environment today only by turning to ancient wisdom. 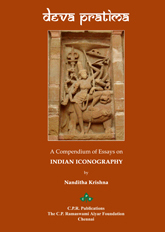 This book is a collection of researched papers on iconography by Dr. Nanditha Krishna. 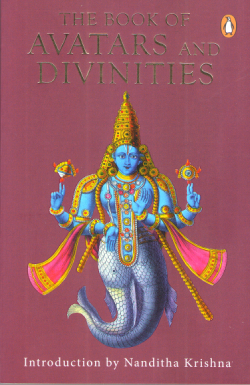 After completing her Ph.D. on the Iconography of Vishnu Narayana in 1975, her thesis was published as a book on the ‘The Art and Iconography of Vishnu Narayana’ in 1980. Subsequently, she has written several books and papers on Indian culture, history, Indian iconography and in recent years, on the ecological heritage of India. We have taken a lot from the earth, We tried to give something back by restoring a few ancient forests, the sacred groves of India. 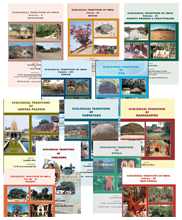 We decided to celebrate the 25th anniversary of our existence by publishing this compendium of papers on THE SACRED GROVES OF INDIA, covering all states and union territories. The Knowledge of several eminent researchers has been included in this volume. However, many gaps still remain to be filled, But we hope that this production will inspire future researchers to take the task of documenting, preserving and restoring sacred groves to a new level. Trees and plants have long been held sacred to communities the world over. In India they feature in our myths, epics, rituals, worship, and daily life. There is the pipal, under which the Buddha meditated; the banyan, in whose branches hide spirits; the ashoka, in a grove of which Sita sheltered; and the tulsi, without which no Hindu house is considered complete. Before temples were constructed, trees were open-air shrines and many were symbolic of the Buddha himself. Sacred Plants of India lays out the sociocultural roots of the plants found in the Indian subcontinent, while asserting their ecological importance. Informative, thought – provoking, and meticulously researched, this book draws on mythology, botany, and the ancient religious traditions of India to assemble a fascinating account of India's flora. The VARADARAJA PERUMAL TEMPLE in Kanchipuram is an important Centre of South Indian Vaishnavism and has been praised by several Alvars. During the Vijayanagar period, there was great patronage for this temple by the kings Krishnadevaraya and Achyutaraya. Apart from the 100 pillar mandapam and several exquisite pillars and structures, the walls were covered with exquisite paintings. Unfortunately little care has been bestowed on these paintings. They have either deteriorated or been vandalized or even whitewashed, leaving very little visible today. The paintings of the temple cover a range of time from early to late Vijayanagar. They include beautiful representations of Krishna's lilas from the Bhagavata Purana, as well as the 108 divyadesams, which appear in paintings for the first time in this temple. The 108 divyadesam paintings were also the models for the later Tanjore paintings of the Maratha period. MADRAS THEN - CHENNAI NOW is an extensively-researched collection of rare pictures showcasing the city as it once was. From images documenting the construction of the artificial Madras harbor, to the Great Famine of 1876-78, to the fateful day when the German cruiser, the Emden, attacked Chennai (making it the only Indian city to have sustained a direct attack during the Great War). The beginnings of modern 'Madras' culture have been well-documented with alluring pictures of some of India's earliest businessmen, industrialists, parliamentarians, actors, and actors-turned-politicians. This book features images sourced from the private archives of the city's prominent families – with some of them being published for the first time. Be it politics, sport, movies, education, or even the independence struggle, Madras Then features captivating pictures and paintings of almost every event and socio-cultural phenomenon that has left an indelible mark on Indian history. Sacred Animals of India draws on the ancient religious traditions of India – Hinduism, Buddhism and Jainism – to explore the customs and practices that engendered the veneration of animals in India. This book also examines the traditions that gave animals in India protection, and is a reminder of the role of animal species in the earth's biodiversity. The Book of Demons presents a perceptive overview of the various types of demonic beings and concepts that exist in Hindu literature, supplemented with a dictionary of individual demons for ready reference. Besides the well-known rakshasas and asuras, the author also reveals a densely populated world of lesser-known, but equally fascinating demonic creatures. The Book of Vishnu describes the various forms, aspects and attributes of Vishnu and his avatars or incarnations, combining the skill of a storyteller with the insight of a scholar, bringing to glorious life the most powerful and revered god in the Hindu pantheon. Balaji – Venkateshwara – Lord of Tirumala-Tirupati is a collection of the legends about Venkateshwara, the sacred Tirumala hill and its many lakes and waterfalls, his miracles, and the beautiful rituals and festivals associated with him. He is a manifestation of Vishnu the Preserver, and his association with the other incarnations is well documented. Ganesha – The Auspicious … The Beginning, by Smt. 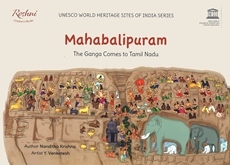 Shakunthala Jagannathan and Dr. Nanditha Krishna, mother and daughter, has brought out the relevance and importance of Ganesha from ancient times to the present day, the historical and archaeological evidence, legends and parables, and Ganesha imagery in India and abroad to make a multi-dimensional study of this deity through the ages. Painted Manuscripts of the Sarasvati Mahal Library informs the reading public about the invaluable manuscripts and other materials available in the Sarasvati Mahal Library was a long felt need. Arts and Crafts of Tamilnadu explores the world of the artisan and craftsperson of Tamilnadu who fashions each article with love and care, always with a working knowledge of the age-old Shastras or canons of art. His creations are a tribute to an ancient culture – and to his own understanding and pride in it. 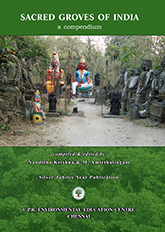 The Art and Iconography of Vishnu Narayana, Dr. Nanditha Krishna's Ph.D. thesis, traces the concepts associated with the deity from the earliest literary sources in India, the Vedic, Epic and Puranic texts, from Tamil and allied literature and from folk literature with its own peculiar regional variations. The major and minor attributes of the deity, the serpent-couch and bird-vehicle, have been described at length, to aid in the dating and placing of the original mileu in which the deity developed. Madras – Chennai is short and concise, to attract young people and those who are not aware of the city's hoary past. It is profusely illustrated with some unique and never-before-seen paintings of the city. Folk Toys of South India The various toys and puppets of Andhra Pradesh, Karnataka, Kerala, Tamilnadu and Pondicherry are introduced in this book. The history of each, the mode of production, decoration and utilization suggest a fantastic range. At the end of each chapter, there is a story of single toy maker to illustrate the life of the simple craftspeople who bring so much pleasure to rural children. Varahishwarar Temple includes a history of Damal, the mythology of the Lingam, and the art and architecture and inscriptions of the temple from Pallava to Vijayanagara times. This temple was badly damaged and was renovated by the author with the help of the Hindu Religious and Charitable Endowments (HR&CE) Department of the Government of Tamilnadu and the C. P. Ramaswami Aiyar Foundation, making it a personal odyssey. Folk Arts of Tamilnadu is an introduction to the folk dance, music, theatre and puppetry traditions of Tamilnadu through millennia. Kummi, kolattam, kaavadi, karagam and impersonation dances; villupattu, harikatha, laavani, occupational songs, ballads, folklore and lullabies; therukoothu, bhagavatha mela, kuravanji and bommalattam or puppetry are covered under dance, music, theatre. Hug a Tree is a play spans five hundred years and three major environmental movements in India. Whenever a group of young people perform this play, they, and their audience, will be reminded that the environmental movement began, long ago, in India. Animals – It's Their World Too - An Activity Book is a workbook for primary level children to make them aware of the cruelties faced by domestic animals and wildlife and to search for solutions. The Tree - A Book of Facts and Activities is for primary level children to interest them in trees and to teach them to identify different species. This book is an effort to document some of the environmental events that shaped Indian history. Papers presented at the seminar organized by the C.P. Ramaswami Aiyar Institute of Indological Research. C.P. Ramaswami Aiyar Foundation, Chennai, 1991. Dr. Nanditha Krishna reviewed the book titled ‘COROMANDEL - A Personal History of South India” by Charles Allen, which appeared in Open Magazine dated January 12, 2018.